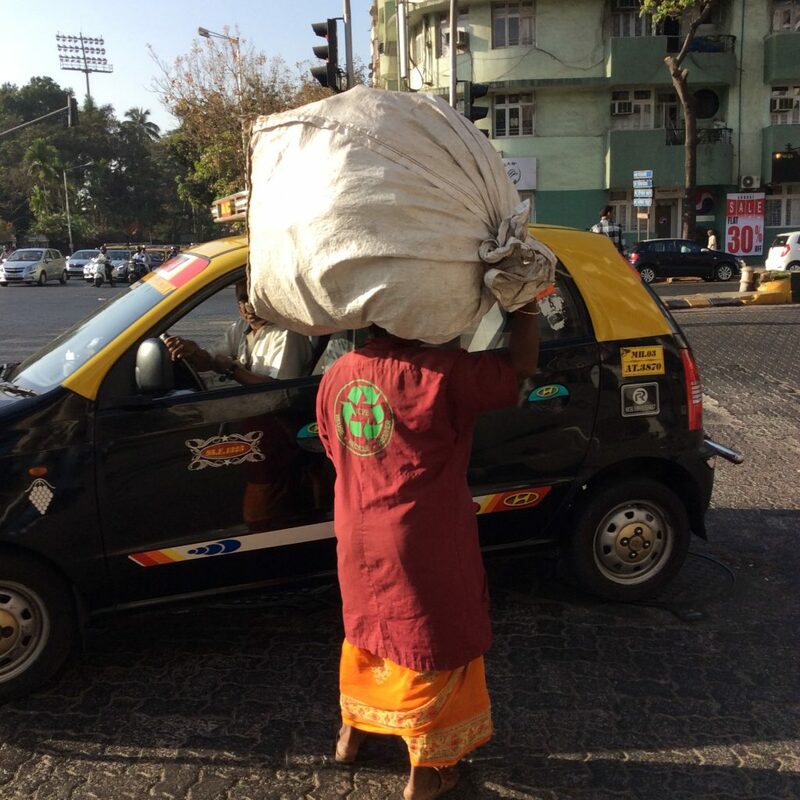 Followers of TheEye will be aware of her love affair with India and many visits to Mumbai where she has been going for… well… every year for many years. Each time, there is a new surprising discovery in that fascinating crazy city. 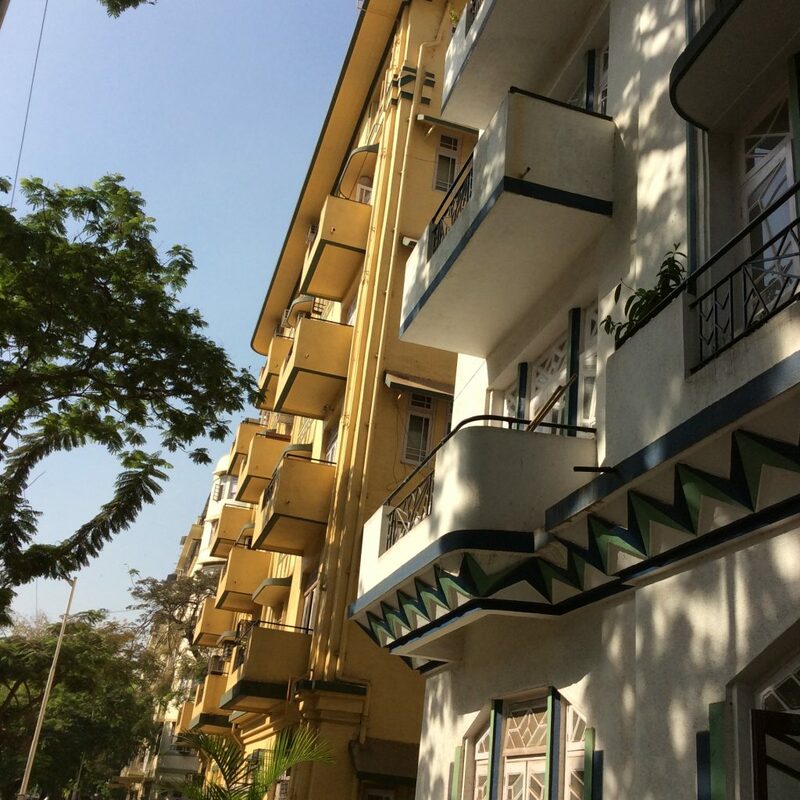 This year it was Maharshi Karve Road, a street of well preserved Art Deco apartment buildings dating from the 1920s. Overlooking Mumbai’s famous Oval Maidan, a 22-acre recreation ground in the heart of the city, famous for cricket and other sports. There are 7 or 8 cricket pitches, and apartment owners with balconies can enjoy a view of the Oval with the glorious Victorian High Court building rising majestically on the other side. Built, of course, by the British and a nostalgic reminder of the great days of the Raj. The balconies were cleverly designed to respect the owners’ privacy and keep out the glare of the sun. I could imagine afternoon tea or an early cocktail sitting outside, watching a game of cricket. 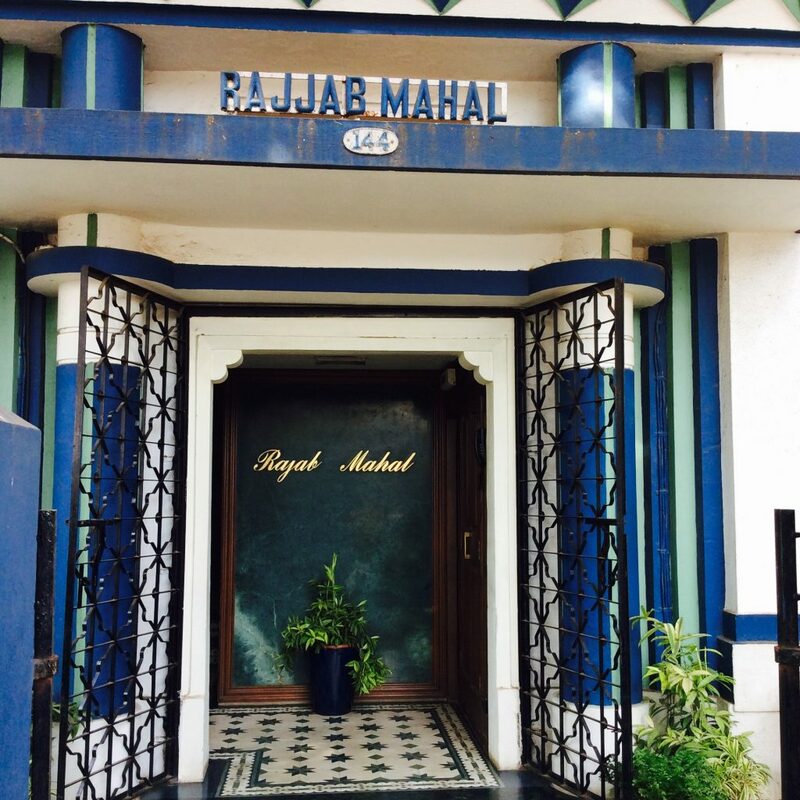 The Fairlawn, with the odd Indian title to add a bit of spice (pun not intended), The Rajab Mahal, and so on. 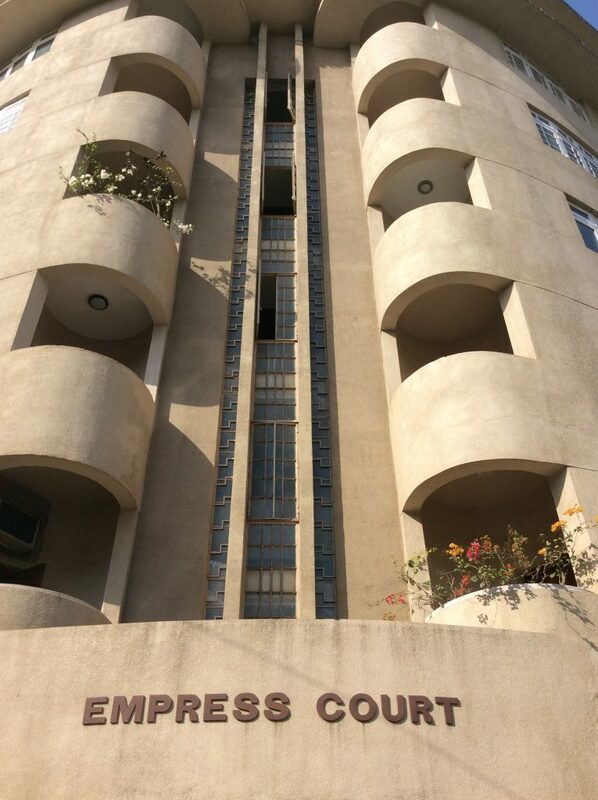 Hearing from a Mumbai friend (who lives in a wonderful Deco apartment herself), ‘Art Deco Mumbai‘ – a not for profit initiative that showcases Mumbai’s Art Deco – chronicles its history and advocates its conservation; the group also organises ‘Deco On the Oval’, walking tours founded by a knowledgeable and dedicated man called Atul and an equally committed small team who leads the groups and imparts their valuable knowledge. 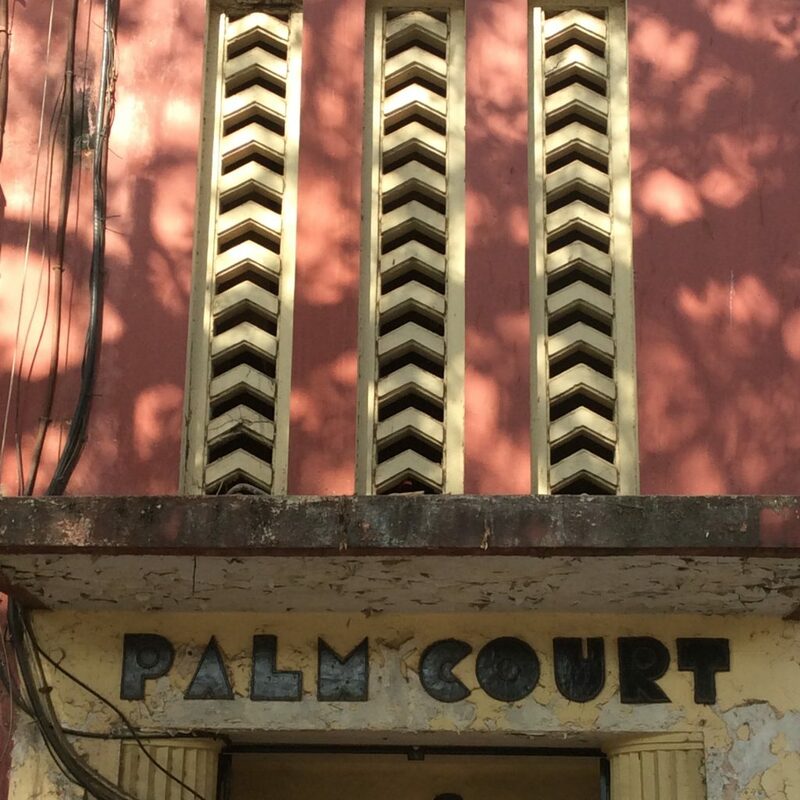 In a city where the infrastructure is abysmal, cracks in the pavement, pitholes so deep in the roads they might be coal mines, you are transported to Bombay’s elegant past, once one of the most glamorous cities in Asia. Walking along Maharshi Karve, Tiffin Boys cycling past delivering lunch to office workers in pewter containers, it does for a moment feel as if life is on hold. 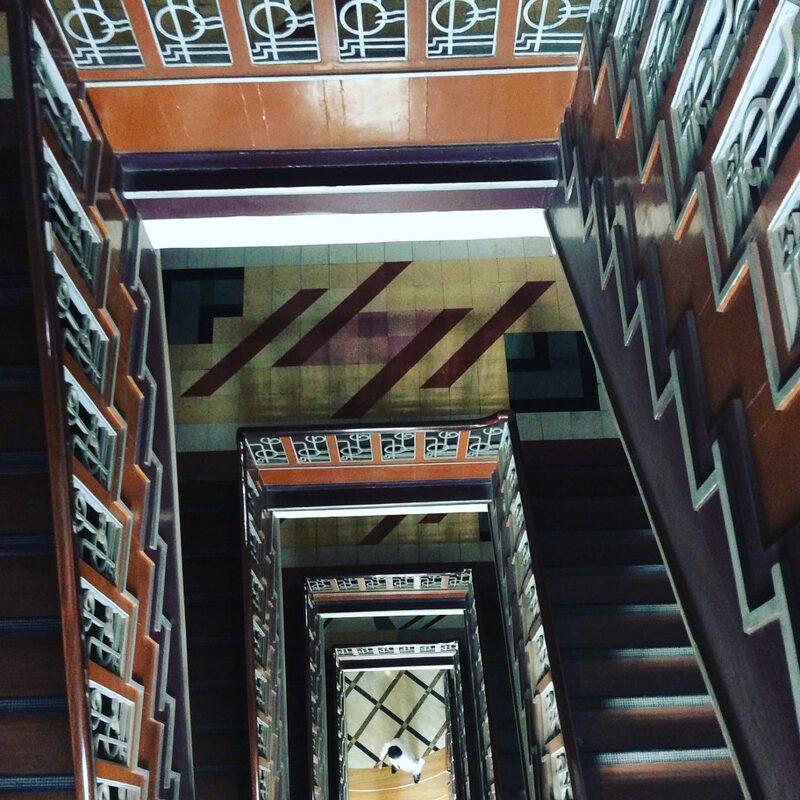 The interior of these buildings is remarkable – pure Deco doors, floors, staircases. 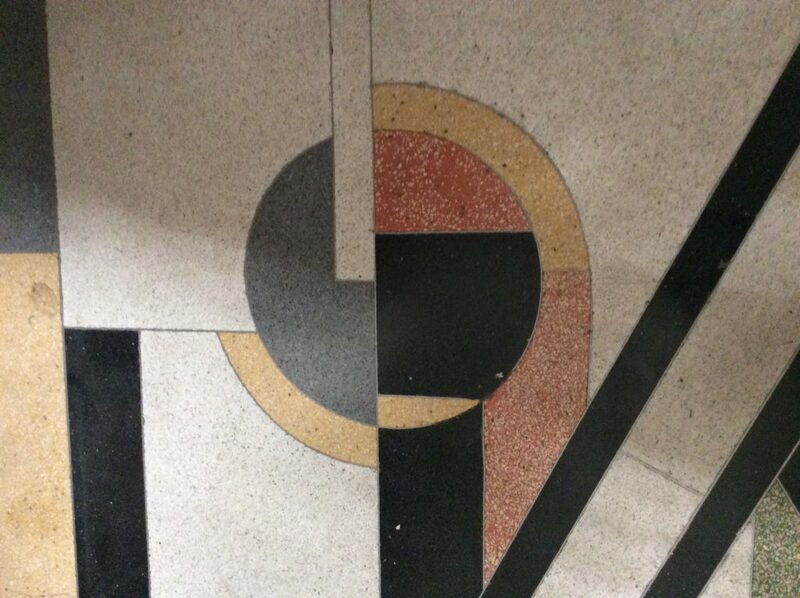 Exquisite floor. 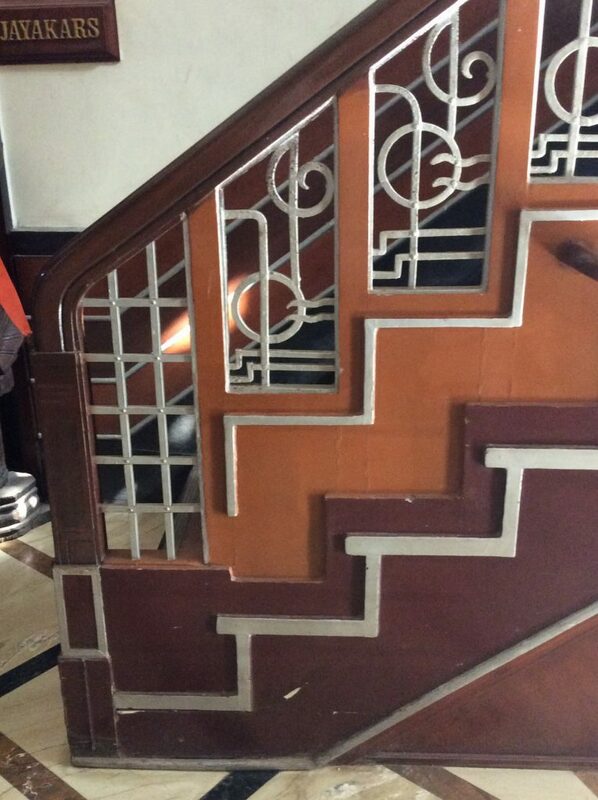 This work is still made by only one factory in Jaipur. 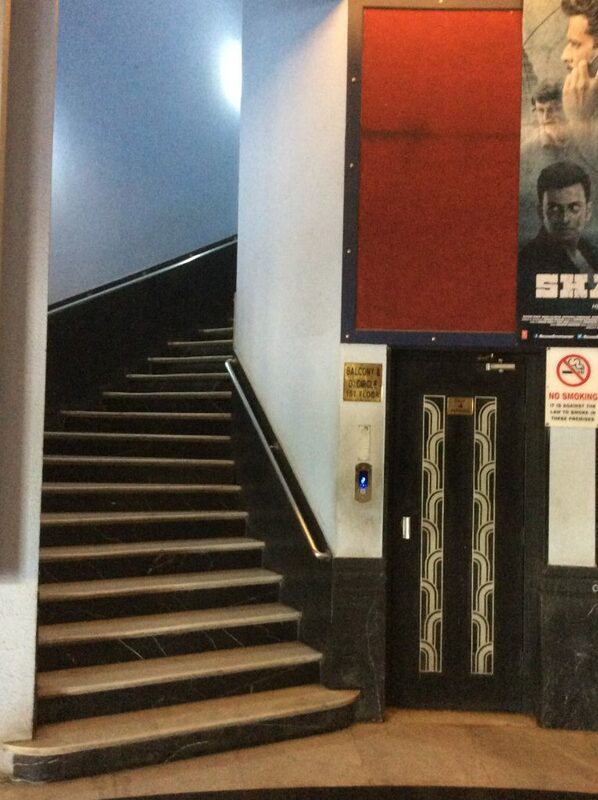 Our Art Deco walking tour lasted about an hour, ending up at the EROS CINEMA, which truly was the jewel in the crown. 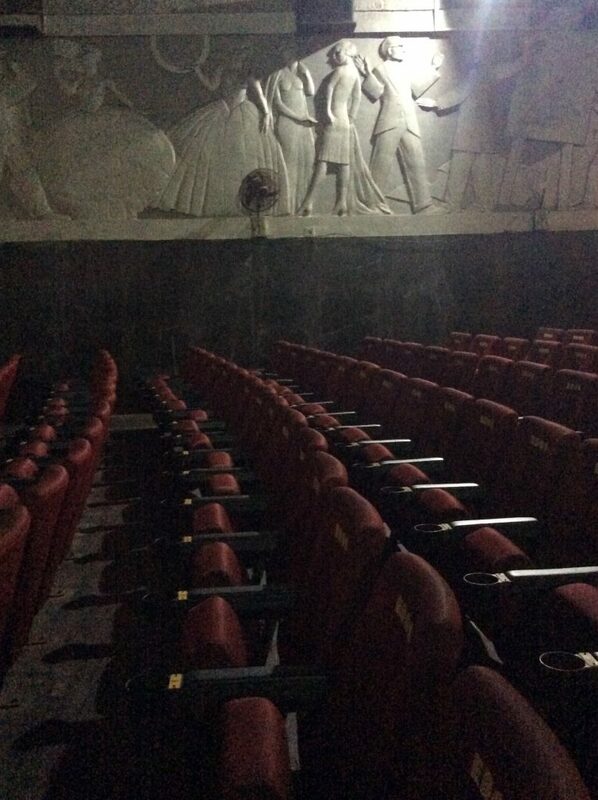 Gorgeous is the only accurate description of this perfectly preserved 1930’s movie theatre. The foundation stone was laid in 1935 and marked the beginning of the Back Bay reclamation in 1938. 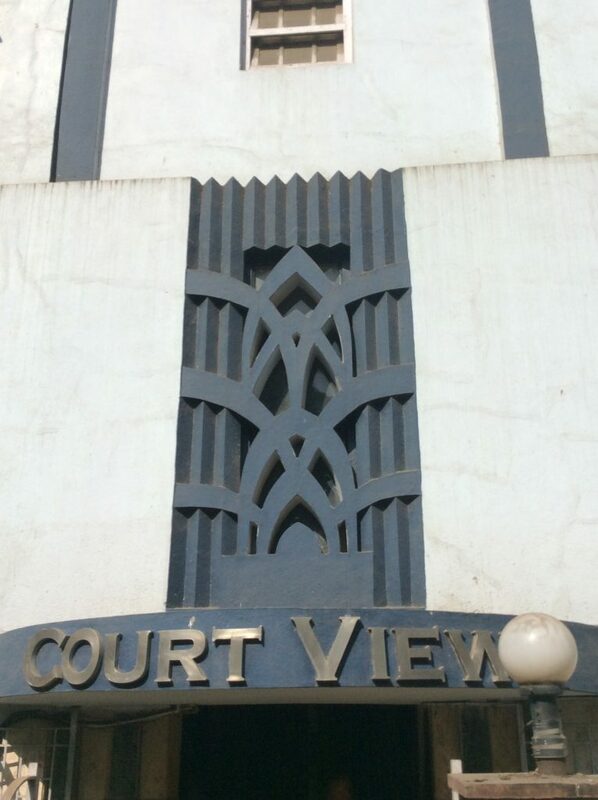 The architect Sorabji Bhedwar designed a tiered facade in the form of an elongated ziggurat with a central semi-circular clock tower, creating a majestic appearance. 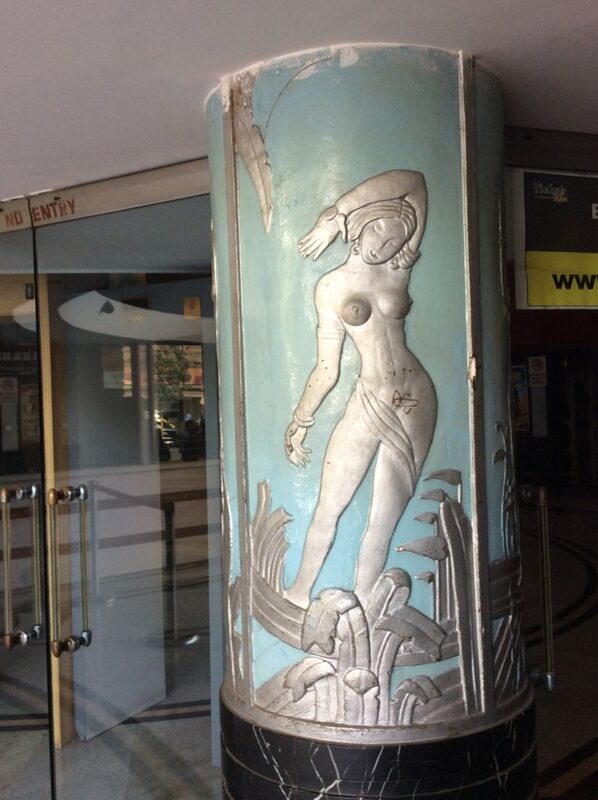 Art Deco reliefs of semi-naked female figures. 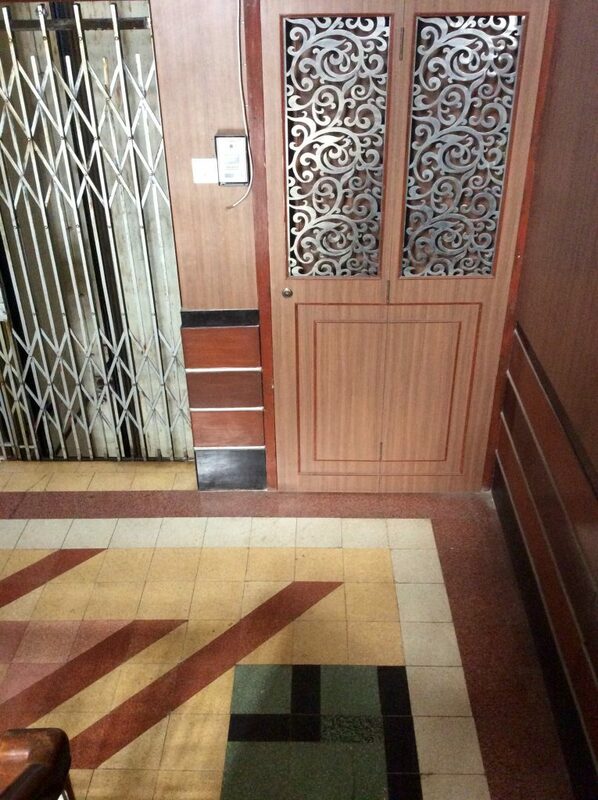 The foyer has black and white marble with touches of gold and muted colour murals depicting Indian tradition. 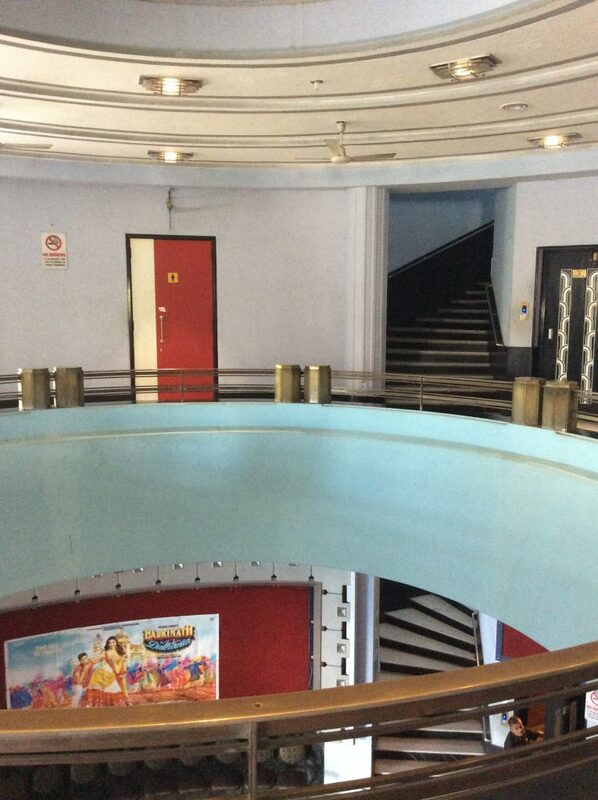 The Eros can seat 1.204 people in the stalls and balcony. Friezes of filmmaking activities on the side walls. 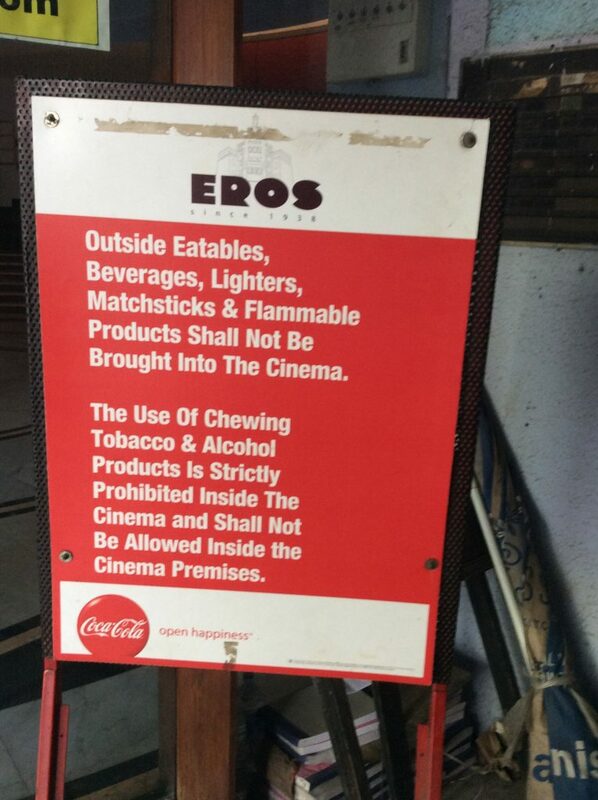 Thanks to Atul and his colleagues at Art Deco Mumbai (info@artdecomumbai.in), we visited The Eros without watching a film. The trustees who oversee this remarkable gem choose to remain very low profile and have TheEye‘s thanks and respect. For those who won’t be visiting Mumbai in the near future, these books will whet your appetite. It was hard to tear ourselves away from THE EROS but we didn’t want to overstay our welcome – it really is quite unique. Thank you for all tis wonderful information. 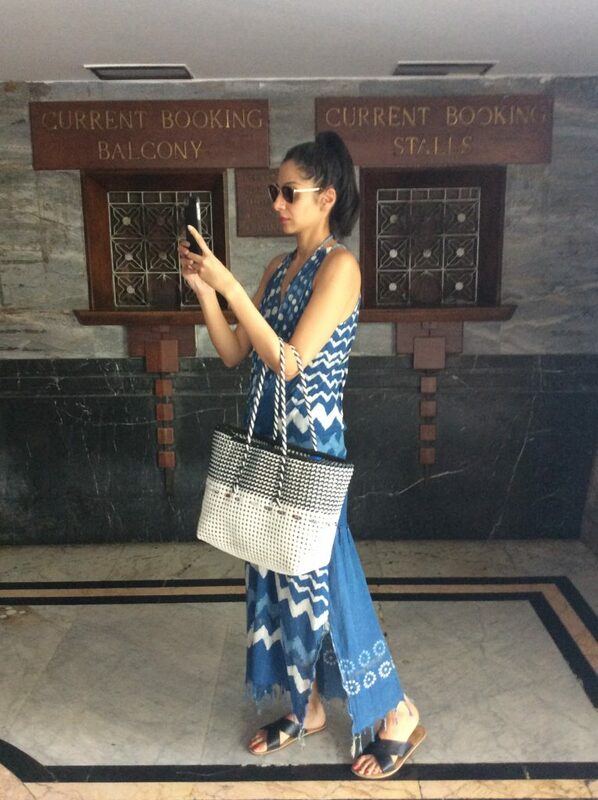 We Travel to India frequently, a country that I can never have enough of. 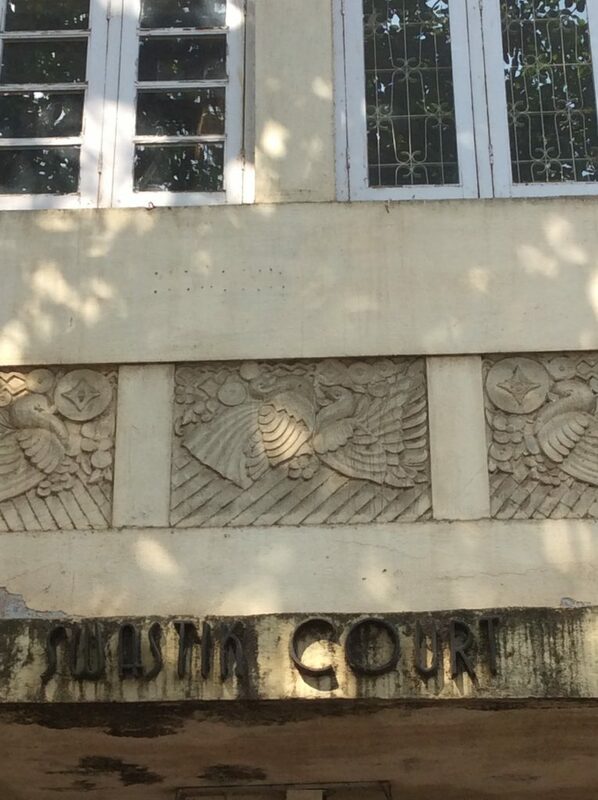 Next time we are in Mumbai we shall go on the Art Deco route. Oh Lucia, you would adore these buildings and the EROS movie house is a real gem. That was wonderful, can’t wait to go.